I made just the top of this hat a couple of weeks ago so I could demonstrate the i-cord rose that I like to use (see Technique: I-cord rose (aka go big or go home)). I only had the crown of the hat, so I picked up from the original cast on and built the hat downwards from there. Unfortunately, I had only a few feet of yarn left of the variegated I had made the rose with…not even enough for one row more so I couldn’t reintroduce it further down for balance. I think it is ok anyway. In order to keep things consistent, I cast everything off and picked up all the stitches again twice further down the hat, once at each place I changed patterns. 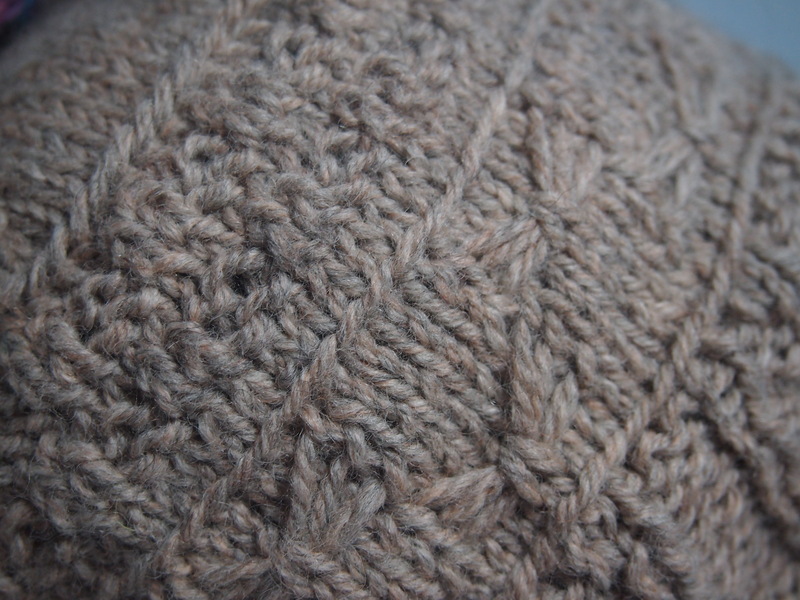 I used Patons Classic Wool, yet again. I always use a 4 1/2 mm needle with this yarn, For the cast off, I wanted it loose to match the tension on the cast on edge near the crown, so I went up to a 7 mm just for the middle cast off. Looking at this line, I thought it could be even looser, so for the final cast off, closest to the ribbing, I used an 8 mm needle. I think I will go with 8 mm in future if I do this again. 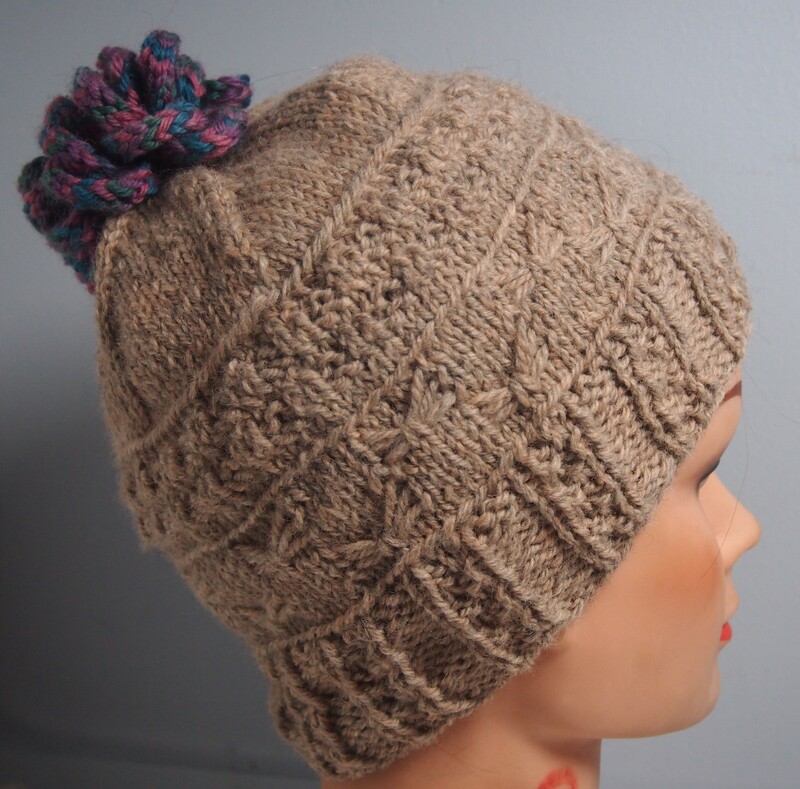 This entry was posted in Uncategorized and tagged knitted hat, knitting, Knitting and Crochet, Patons Classic Wool, top down knitting on November 2, 2013 by gillianknitter. I really liked this hat!